It takes between 15-25years to make partner in the big accountancy firms. Rachel Engwell is one of the few extraordinary women who has shattered the glass ceiling and made it to partner. We caught up with her to find out how she did it. In short, I joined the graduate program in tax at Ernst & Young LLP in their Manchester office after completing a Law Degree at the University of Sheffield. I studied for the professional accountancy (ACA) and then tax (CTA) qualifications. 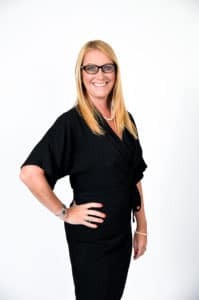 Once qualified I rapidly progressed through to manager and then senior manager and spent time on secondment to other offices and to other service lines. After 10 years I transferred from the Manchester office to the Leeds office where I was promoted to Director. I then joined the partnership at Grant Thornton in 2016. Tell us a little bit about GT and your role. Grant Thornton UK LLP is part of one of the world's leading businesses of independent advisory, tax and audit firms. We help dynamic organisations unlock their potential for growth by providing meaningful, forward looking advice. In the UK, we are led by more than 185 partners and employ 4,500 of the profession's brightest minds. We provide assurance, tax and specialist advisory services to over 20,000 privately held businesses, public interest entities and individuals nationwide. My role as Head of Tax for Yorkshire and the North East involves working with a wide range of businesses across a variety of sectors providing quality tax advice at the investor, corporate and individual level. I lead a team of 35 professionals across our Leeds, Sheffield and Newcastle offices, responsible for growing both the Yorkshire and North East tax practice as well as supporting and developing the wider regional business. What has driven your passion for diversity in the sector? When I started work there were very few female partners and indeed those that had made it were fairly intimidating ladies! I feel strongly that you shouldn’t have to try and fit in a mould to make it. It is important that everyone, male or female, feel empowered without feeling they need to behave in a certain way and I strive to be a good example of this. What’s the biggest myth about your industry/role? I suspect it is the old adage that accountants are bean counters. It is true that our job is to deliver sound, quality technical advice but it is much more than that. I spend a vast amount of my time meeting with businesses and their owners talking about the business, their strategy, opportunity and challenges. Tax inevitably runs through that and I can identify what tax support is required but only by understanding the business, its plans and its priorities. How has the industry changed during your career? There is so much more regulation than there used to be in the sector and much more public interest in the services being performed. This is positive as it focuses all to ensure they are doing the right thing and working in line with a consistent set of standards. What is your advice to today’s women in the industry? To be the change you want to be. Be yourself and be confident in that - don’t feel you need to behave a particular way or change who you are in order to be successful. What is the top challenge that you face as a leader (woman) in your industry? There is still disparity in levels of pay between men and women in the professions. This may start to change with gender pay gap reporting but I do feel more women need to be confident in having pay discussions with their employers and not shying away because it might feel a little awkward. How do you maintain you and your team's daily motivation and inspiration despite obstacles, pushback or setbacks? With openness, honesty and recognition for a job well done. My team is often resource constrained because we are growing rapidly and are constantly busy. I ensure I communicate our progress against targets regularly so everyone can see their hard work is paying off. I personally spend time with members of the team both one to one and at social events, even if this is just impromptu drinks after work one evening. I also take time out just to walk the floor and talk to the team, it shouldn’t be underestimated how impactful the little things can be. What’s your go-to question during job interviews? “Why are you the best person for the role”? To listen and take on board the opinions of others. What inspired you to support other women? Over a 20 year career I have had many experiences as a working professional woman both good and bad. I like to share stories so that people can learn and develop. I aspire to be a positive role model, particularly for my two daughters. Why is sponsorship and involvement with the national awards important to GT? Grant Thornton have been investigating the progress of women in business around the globe for 14 years, exploring how business leaders think and feel and outlining practical steps that can create change. Diversity and inclusiveness is therefore high on our agenda and we wholeheartedly believe that businesses which focus on this and actively strive to get the balance right are more successful and achieve better growth as a result of those diverse teams. We want to take this beyond policy to progress. 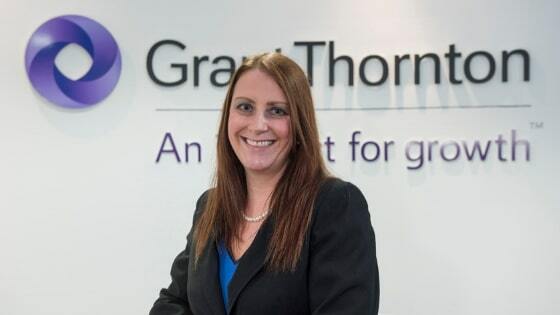 More locally, having joined Grant Thornton as the only female partner in Yorkshire, I believe there is great untapped potential for businesses across the region to capitalise on female talent and bring to light the very real challenges still facing women. What support does GT have to offer small businesses? Check my phone (but I am trying to stop doing that!) swiftly followed by coffee. What gadget can you not live without? I have two daughters and an extremely hectic home life so I don’t get the opportunity to read much myself, but I do often read with the girls and am enjoying introducing them to some of the Authors I loved when I younger such as Roald Dahl and Enid Blyton.